A short video from the Christmas holiday – these are Canada Geese by Cowm Park Reservoir. Isn’t Canada meant to be really cold? So WHY ARE THESE GEESE SHIVERING?! 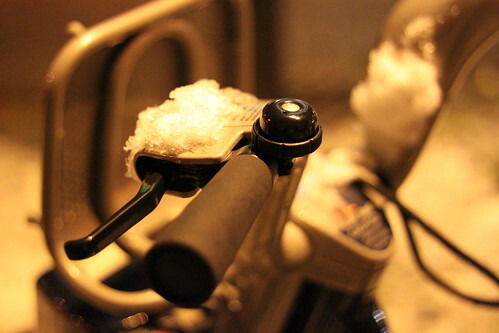 With the recent snow across London and the South East I think it will be interesting to see the impact on the cycle hire scheme. 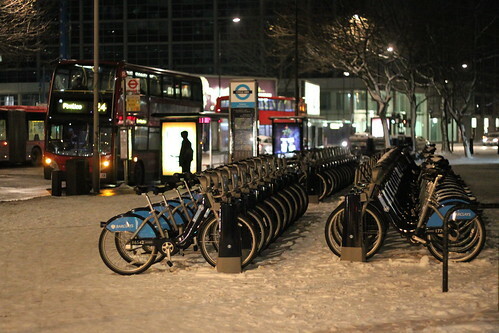 Certainly the bank of bikes at Euston Underpass on Sunday (19 Dec) was full and most bikes bearing some snowy evidence of not having moved anywhere for a while! 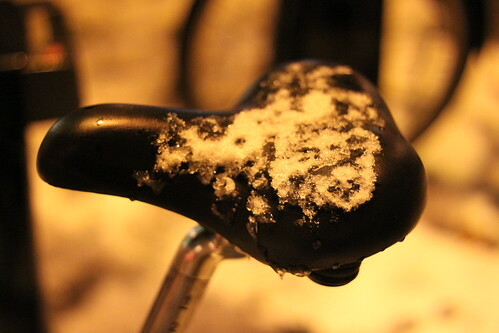 – Personally I’ve avoided cycling too, though after Christmas with luck the snow will recede and I’ll be back on the saddle… For now, here’s a few pictures of bikes in the snow! 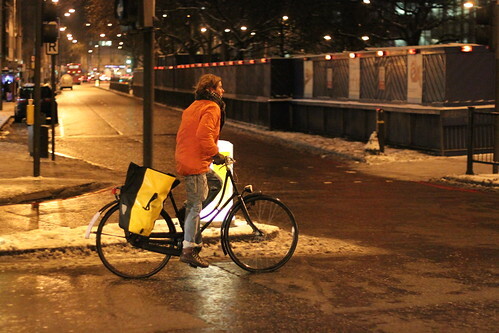 Unlike my last evening sojourn onto the streets with the camera I found just one brave soul cycling along. 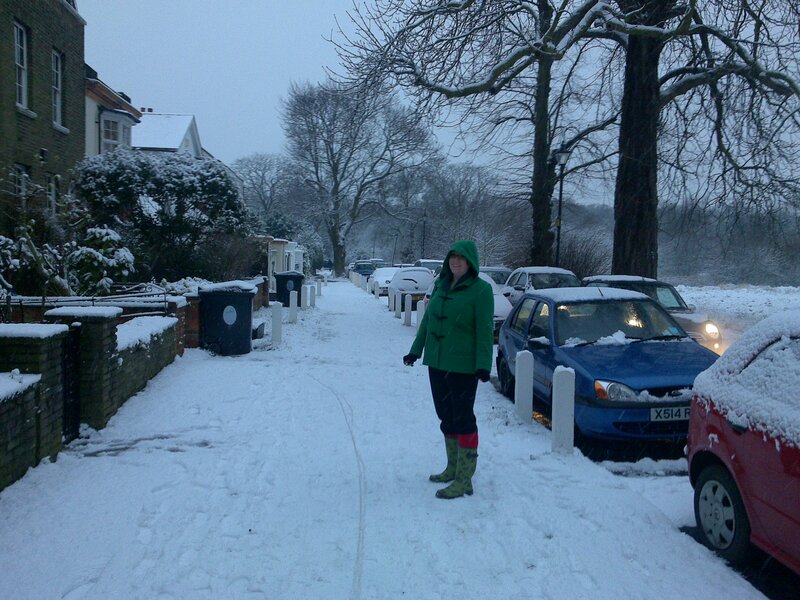 Yes, it’s been awfully silly weather the last few weeks, so here are some photos! What the bloody hell are you waiting for? 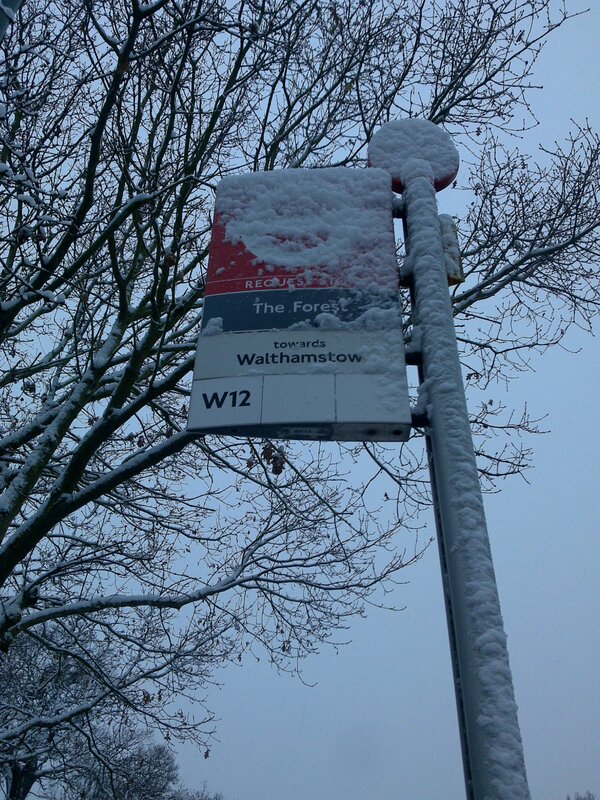 It’s cold! 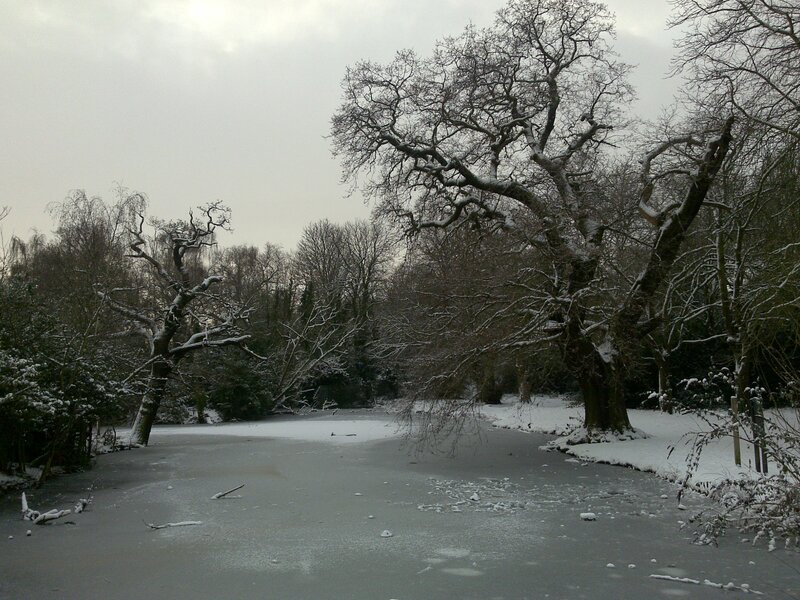 Eagle Pond is frozen. It usually has an ‘oasis’ of water – around which the birds congregate. Since the water is in a different place each day I don’t know why it forms where it does! With thanks to Billy (@cowfish) for the title of this post! A lunch time I took a break and walked up the village centre where I grabbed a few photos and ingredients for a nice warm cooked breakfast. Mmmm.